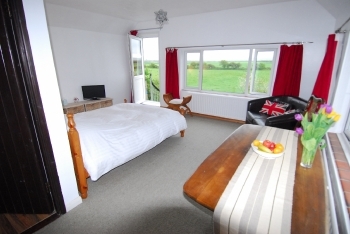 Saunton Mini Break Bed & Breakfast, saunton, is a informal, family & pet friendly bed and breakfast. We are a 15 minute walk away (or 2 mins drive!) from the stunning Saunton Sands Beach and just a 2 minute walk to the Prestigious Saunton Golf Club. The beaches of Croyde, Woolacombe & Putsborough are all just a short drive. We offer rooms with a continental breakfast, or as room only. Each of our rooms have a fridge, mini oven, en-suite and have their own external entrance, so you are free to come and go exactly as you please!